﻿ Best One-Step Wash and Wax for the RV? If we don't use something, we don't recommend it. 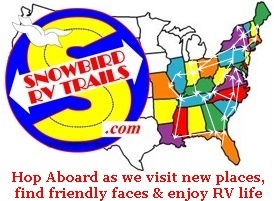 We have used this product from day 1 when we bought our first (of 3) RV's. I use it twice a year with great results. We use it on our "newest". 2011 Excel 5th Wheel and also on our 2011 F-250 tow vehicle. What could be simpler? I wet an area with a spray from my hose - then dip my brush (with adjustable reach) in a bucket of the properly diluted pink mixture and brush it on - then I simply wash it off with another spray from the hose. If I am not in a rush I use the electric leaf blower I bought at a garage sale to blow it dry. It’s gives me a beautiful shine and easily done - it also causes no harm to the graphics or decals on either the trailer or the truck. Use a dampened Dryer Sheet to easily remove bug splatter from the front of your RV and tow vehicle. Be sure to wash any residue off after use. 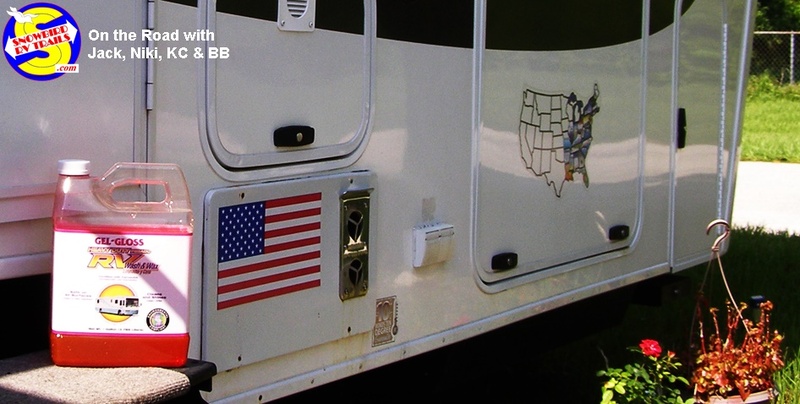 Use Scrubbing Bubbles for the black streaks left by rainstorms and the AC running rivulets off your RV roof.